Photochromic lenses darken on exposure to UV radiation. Photoflite series lenses start very light and darken linearly when UV light is increased. Made in France to the same exacting standards as our PolarFlite series glasses, MirrorFlite includes an extra coating on the lens to help reflect more of the suns rays away from your eyes. Useful in all conditions as well so you need not save these glasses only for the brightest days. 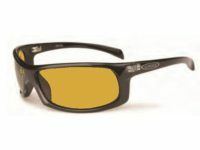 Fishing glasses are a very important piece of fly fishing equipment. Not only do they protect your eyes but they also greatly enhance your chances of spotting fish. Wading becomes safer when you actually see where you are putting your feet. 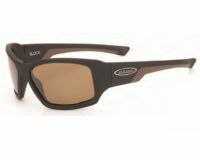 Vision's exclusive range of polarized eyewear offers high levels of performance and style. They are all made in France. Polarflite shades includes a wide collection of frames with Actif tri-acetate cellulose lenses. They give 100% protection from UVA-, UVB- and UVC light. They effectively block both visible light and the light reflected from water surface reducing the aligned, partially polarized glare. They are finished with hardcoat scratch- resistant surface. These lenses will not absorb haze and will stay constant with a low haze value of 0.4%. 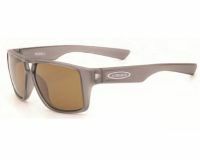 A perfect choice for all-round shades plus all the optical qualities needed for fishing. They are also very light. The 2by4 is designed to be worn with the glasses. Yellow These lenses work as light enhancers. Good for dusk and low light as well as for overcast days and evenings. Brown A superb all-round constant density lens. It provides the best combination of true colour transmission and contrast. The optimal performance is achieved in medium bright to bright. Grey The darkest lens is colour neutral and made for bright sunny conditions. Enough buoyancy to save your favorite glasses.